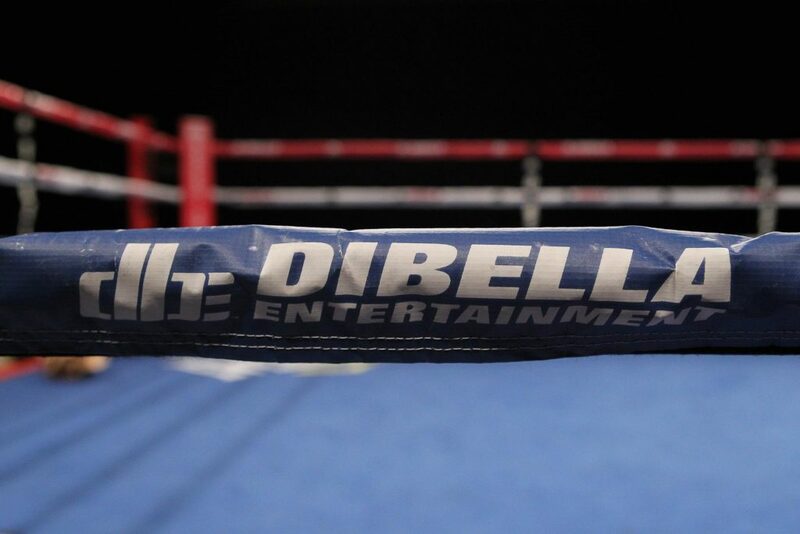 UFC FIGHT PASS and DiBella Entertainment have collaborated to exclusively live stream Broadway Boxing’s event from Sony Hall, located in Times Square, New York City, on Wednesday, April 10. Headlining the seven-bout event will be hard-hitting, fast-rising welterweight star Ivan “The Volk” Golub, (15-1, 12 KO’s), of Brooklyn, N.Y., who will be defending his WBC USNBC welterweight title for the first time in a ten-round bout against Manuel Alejandro ‘El Chino’ Reyes, (11-4-1, 5 KO’s) of Los Angeles, California. Ukraine native Ivan Golub returns following a career best ten-round shutout decision victory over battle-tested veteran Lanardo Tyner on August 18, 2018, in Hanover, M.D. Prior to that win, the crowd-pleasing southpaw knocked out Fidel Monterrosa Munoz in the third round on January 20, 2018, in Brooklyn, N.Y. Reyes returns to the ring following a hard-fought 10-round decision loss to world-ranked Mykel Fox. Additionally, the card will feature an eight-round special attraction — the highly anticipated return of WBA super middleweight women’s world champion Alicia “The Empress” Napoleon, (10-1, 5 KOs) of Lindenhurst, N.Y. against Eva Bajic, (14-16, 9 KOs), of Senta, Serbia. Napoleon won the vacant world title with a ten-round unanimous decision over Femke Hermans on March 3, 2018, at Barclays Center. Making her first defense on August 4, 2018, the charismatic Napoleon defeated Hannah Rankin by a ten-round unanimous decision. Over the course of her tenyear career, the 34-year-old Bajic has battled numerous world champions including Cecilia Braekhus, Hannah Rankin, Layla McCarter, Delfine Persoon and Mikaela Lauren. The fight card begins at 8 p.m. ET / 5 p.m. PT on April 10. Williams pressured Flores throughout six rounds on his way to a Unanimous Decision, sweeping each round. Behind his stiff jab, he delivered thunder to the body and head of Flores. Their fight took place before Broadway Boxing went live on UFC Fight Pass. It was an entertaining bout, which set the tone for the night at Sony Hall. Twaiti outclasses Tonte in their scheduled 4-round bout. Twaiti used excellent footwork to circle his opponent, while working the body and head. Using a series of combos, Twaiti Cornered Tonte and unleaded a flurry. Eventually after another series of quick strikes, the referee called a haiku to the fight in Round 3. Ceballo slid in-and-out against his foe. He battled through Garcia’s clinches and eventually dropped him in the third round. After he smelt blood, he went in for the impressive finish, dropping him against the ropes for his eighth victory. Garcia went limp against the ropes where the referee stepped in waving his arms through the air signaling the end of the bout. Normatov controlled the entire fight as he pushed Metcalf back each round to t-off with his combos. Metcalf pushed into Normatov each round trying to pepper him with strikes, nothing though significant enough to damage his opponent. Round two Normatov dropped Metcalf to the canvas for an 8-count. Normatov put in a blue-collar effort for a victory. Alicia Napoleon pushed the pace as she snapped her foes head back throughout the fight with a nasty left jab. Attacking the body, Napoleon impressed the crowd as she earned a 9-count via body shot and then earned the TKO with one punch in the second round. Jalolov Climbs over the ropes and showed his dominance once the bell rung. Jalolov Fought a matchup that should probably never been made, but he fought the replacement that lasted 2:45 into round one. 6-Rounds- Joseph Williams (12-0, 8KO’s) def. Jose Mario Flores (8-1-2, 4KO’s) via Unanimous Decision (60-54, 60-54, 60-54). 4-Rounds- JR. featherweights- Khalid Twaiti (4-0) def. Jeno Tonte (9-6) via TKO in Round 3, at 1:13. 6-rounds-JR. Middleweights – Brian Ceballo (7-0) def. Ricardo Garcia (14-5-1) via TKO in around 3, at, 2:33. 6-Rounds- Middleweights – Hurshidbek Normatov (7-0) def. Calvin Metcalf (9-1-1) via unanimous decision (60-53, 60-53, 60-53). 8-Rounds – middleweights – Alicia Napoleon (10-1) def. Eva Bajic (14-16) via TKO in Round 2, at 1:04. 6-Rounds – NABF JR. Heavyweight Championship – Bakhodir Jalolov (5-0) vs. Brendan Barrett (7-2-2) via TKO in Round 1, at 2:45. 10-Rounds -WBC USNBC Welterweight championship – Ivan Golub (15-1) def. Manual Alejandro Reyes (11-4-1) vi Unanimous Decision (99-91, 100-90, 100-90).